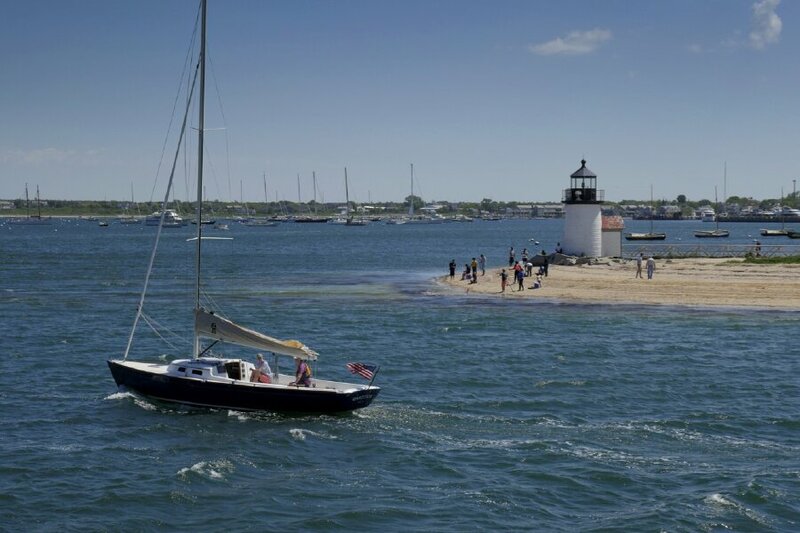 By combining the lovely paved paths of Martha’s Vineyard with those of the smaller island of Nantucket, we’ve put together a tour that shows off the best these isolated islands off the coast of Massachusetts have to offer. Enjoy the ocean breezes, moors, beaches, and forests of these two islands, all while cycling on paved bike paths. The islands are as different as they are unique, but they each offer some wonderful car-free cycling. Mostly flat terrain on traffic-free, paved bike paths. Leisurely cycling level. 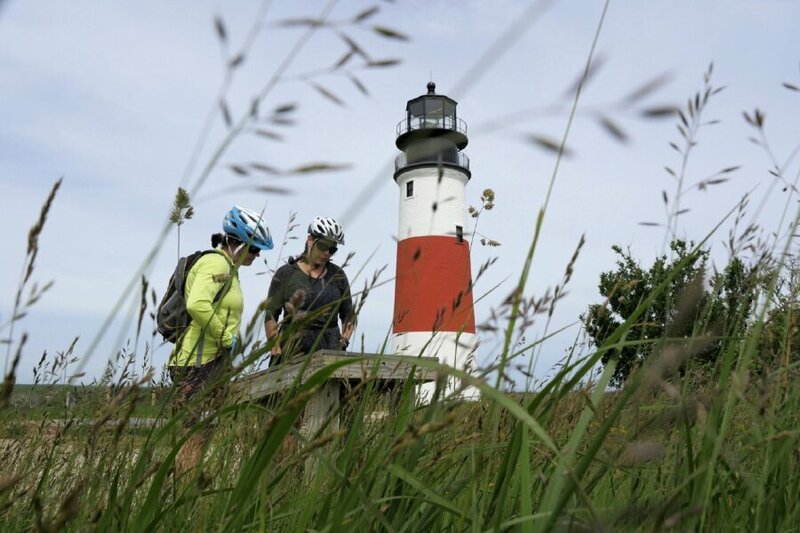 4 nights lodging, 4 breakfasts, 2 picnic lunches, 4 dinners, snacks, ferry between Nantucket and Martha’s Vineyard, ferry to Chappaquiddick Island, van support, maps, cue sheets, GPS directions and trained guides. $195 for hybrid or road bicycle. Fly into Nantucket for the start of our tour and out of Martha’s Vineyard at the end of the tour. Cape Air and JetBlue offer connections through Boston and Providence. Or drive to Hyannis and take the ferry. 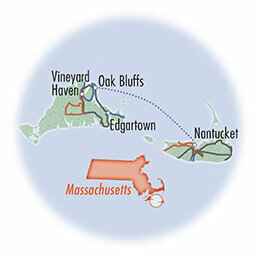 Once in Nantucket, take the hotel’s free shuttle to the start of our tour. At the end of the tour, you can walk to the ferry to get back to Hyannis, or take a taxi to the airport if you've flown. 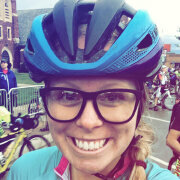 "I was worried that everyone would be faster or more in shape. I found that there were all kinds and one could fit in wherever she felt most comfortable. Accommodations were always top-knotch. I especially loved the Nantucket Inn, very quiet and quaint. Fantastic leaders, detailed instructions. When a couple problems did arise they were taken care of quickly. Always felt very well taken care of and appreciated." DAY 1: We begin our tour on the pristine island of Nantucket. This small island, only 14 miles long and 3 miles wide, has protected nearly half of its land from development. All of its 82 miles of beautiful beaches are public. Lucky for us, it also has an extensive network of paved bike trails. We meet at 2:00pm at our inn just outside of the center of Nantucket Town for an orientation, followed by a rental bike fitting. We’ll have a short warm-up ride to Surfside Beach, before enjoying our first dinner together at 7:00pm. 9 miles. 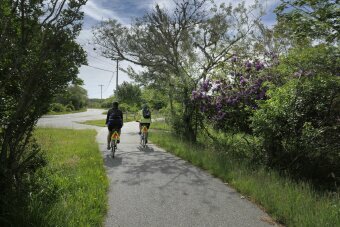 DAY 2: After a wonderful breakfast, we’ll begin our bike path tour of the island, first heading northeast toward the cliffs of Siasconset. We’ll pass what used to be the largest cranberry bog in the country before stopping at the Sankaty Head Lighthouse. After a picnic lunch at Cisco Beach, you can stop at the Cisco Brewery, Nantucket Vineyard and Triple Eight Distillery for a close-up view of island life. Then head back to our inn and dinner together. 33 miles. DAY 3: After another hearty breakfast, we’ll head out toward the westernmost beach on the island. Along our way to Madaket, we’ll pass the historic old mill. Built in 1746, it is the oldest functioning mill in the country. We’ll also pass a Quaker cemetery dating from 1760. After a stop at Dionis Beach, we’ll head toward Nantucket town for lunch. We should have time to stroll the shops along the cobbled streets before boarding our ferry. The designer dress shops, art galleries and small cafés will look different from any you’ve seen in a mall, as chain stores are banned here. Then it’s a short bike ride to our inn in the town of Oak Bluffs. Be sure to walk among the gingerbread cottages hidden behind our hotel. Their pretty pastel-painted porches are in stark contrast to the highly regulated, cedar-shingled structures of Nantucket and have a fascinating history. 19 miles. DAY 4: Martha’s Vineyard is named for the daughter of the 17th-century explorer Bartholomew Gosnold who discovered the island full of grapes growing wild. Now full of forests, scrubland, beaches and old stone walls overgrown with vines, the island is rich in diversity and beauty. Unlike Nantucket, it has 6 separate towns and we’ll cycle through three of them today. We'll have water on both sides of us as we cycle a pristine bike path and over the bridge made famous by the movie Jaws. 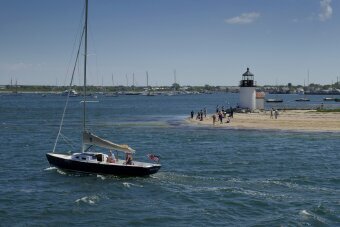 We'll head out toward a beautiful beach and then by a lighthouse in Edgartown. After stopping for lunch on your own, you can catch a 5-minute ferry to the tiny island of Chappaquiddick. If you like gardens, be sure to stop in at the free Mytoi Japanese Gardens for a respite before returning to our inn. 28 or 34 miles. DAY 5: Our last ride takes us through 5000 acres of state forest in the center of the island. Originally created as a reserve to save the Heath Hen, it is now one of the largest environmental restoration projects in the country, working to bring back the island’s native ecosystem. We’ll cycle past a huge sculpture of the Heath Hen, a tribute to this now extinct bird. After our peaceful ride, we’ll return to our inn for our last picnic lunch together. We'll say our farewells at 1:00pm, and then you're free to walk to the ferry or take a taxi to the airport for your trip home. 22 miles.